“The fire has been contained. There is not threat of chemical spill… Most likely it was a high-caliber artillery shell,” an official from the Donetsk People’s Republic told the broadcaster. However, a satirical news website, the Internet Chronicle, posted a fake story saying the blast was triggered by a nuclear bomb. This doesn’t have a shred of truth to it, although the blast did produce a mushroom cloud. 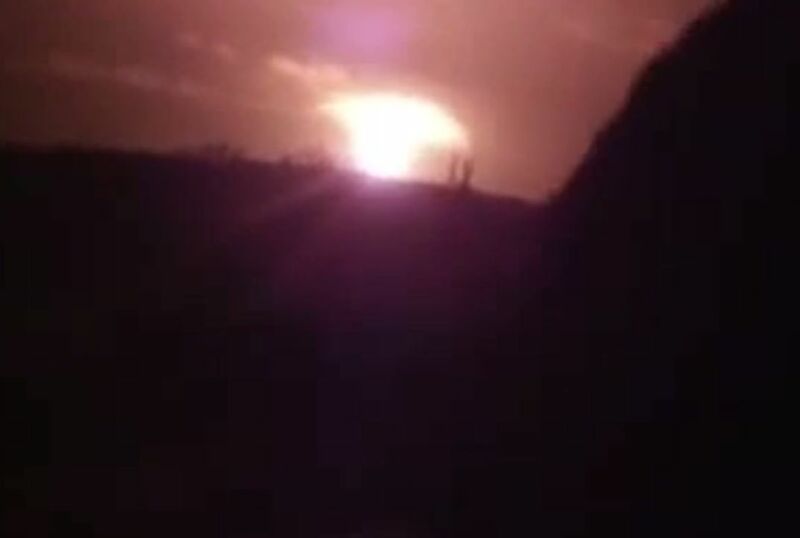 A spokesperson with the rebel Donetsk People’s Republic told NahNews.ua that it was likely a missile that caused the blast, but he didn’t rule out the possibility of a factory explosion. Early reports say it was a a Ukrainian army artillery attack that hit a weapons depot used by the Donetsk People’s Republic. 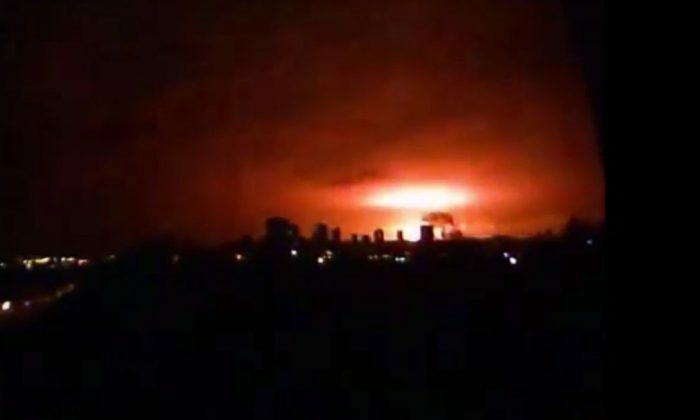 No casualties or damage were immediately reported from the huge blast at the plant in Donetsk, which the rebels said was hit by government shelling. 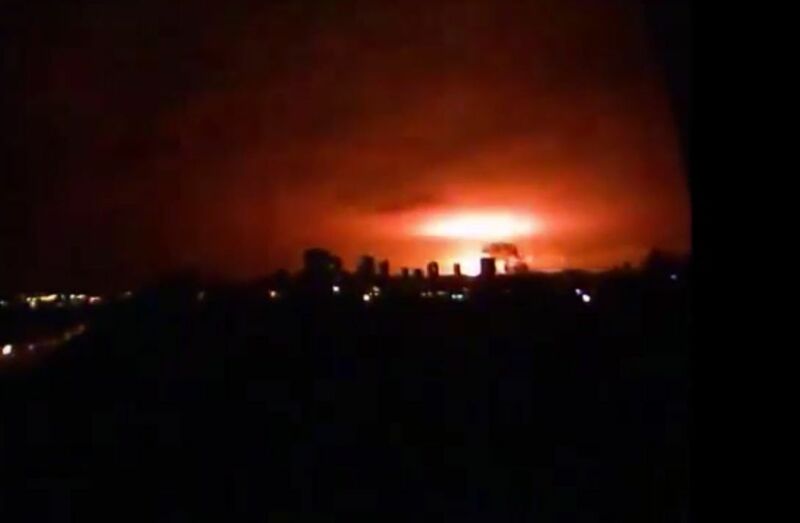 The city lies in the middle of Ukraine’s industrial heartland and explosions like this have long been feared. The fighting between Russia-backed separatists and Ukraine government forces has killed more than 5,300 people since April and displaced more than a million people in eastern Ukraine. 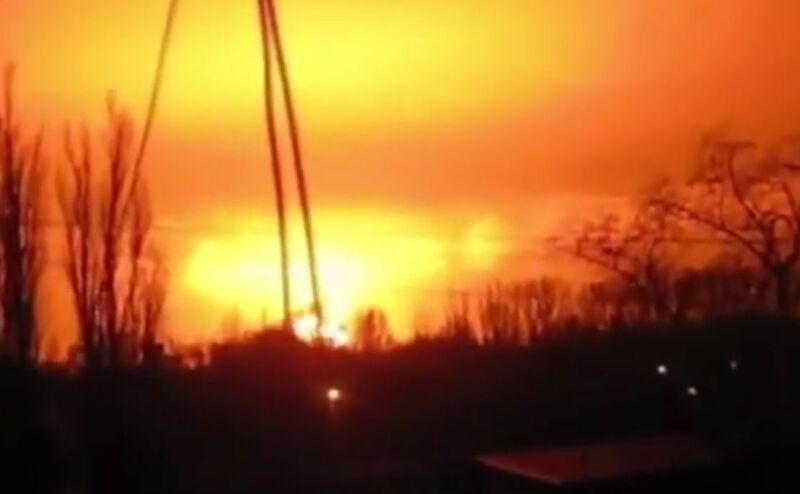 The rebel Donetsk News Agency said Monday the chemical plant west of the city was hit by a Ukrainian artillery shell but the fire was put out and it posed no danger to residents. Heavy shelling around Donetsk killed two people, rebel official Eduard Basurin said. In neighboring areas under government control, at least seven people were killed Sunday, the Donetsk regional police chief said.